Didn’t make it to SXSW this year? Fear not. We’ve got the highlights for you, with this roundup of what’s cool and what make us smile. Ramping up to SXSW, Meerkat was a buzzy app, acquiring high-profile followers like Jared Leto and dubbed by major news outlets as the ‘it’ app of the year. The social livestreaming tool depended heavily on Twitter, triggering Tweets of what users were doing in the moment, pulling an audience from their Twitter followers. Friday, Twitter cut Meerkat’s access to its social graph and announced it had acquired a competitor, Periscope. That all happened Friday – likely not what Meerkat thought it would be dealing with on the first day of the festival. The path to corporate reinvention often includes a tour at SXSW. Companies trying to change the conversation about their companies often take similar steps: provide a lounges and freebies, plan talks with innovators and an invite the world to a big blowout party. 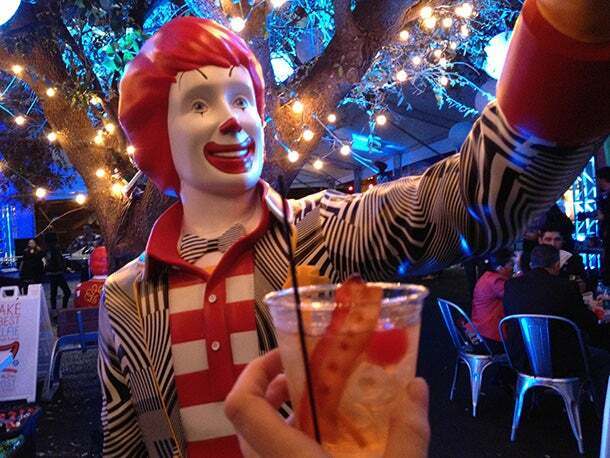 This year, McDonalds added itself to that list, doing all the requisite SXSW things, but at its party it served bacon old fashioneds. Ever wonder what your beets were thinking? You’re one step closer, thanks to this promotional tool from the SXSW tradeshow that wires up broccoli and potatoes to tell you about where they’re from when you touch them. We’ve got the video. At a much-anticipated panel with actor Ryan Gosling, an attendee interrupted – to propose to her girlfriend. Those chatting with Ava on Tinder during the event got more something they weren’t expecting. As Adweek reported, after a short conversation, the girl drove suitors to her Instagram, revealing a promotion for Ex Machina, a film premiering at the conference where she plays an artificial intelligence. A dress that changes color. No, not the is-it-gold-and-white/is-it-blue-and-black dress. Panels once again explored the future of this fledgling consumer marketing, including wearables with technologies embedded into the fabric. These create some intriguing possibilities, such as clothing that turns from opaque to clear when its wearer is aroused. A Jetsons reality might be closer than you realize thanks to a Slovakian company committing to the flying car. The first coast-to-coast trip by an unmanned car will kick off this March. 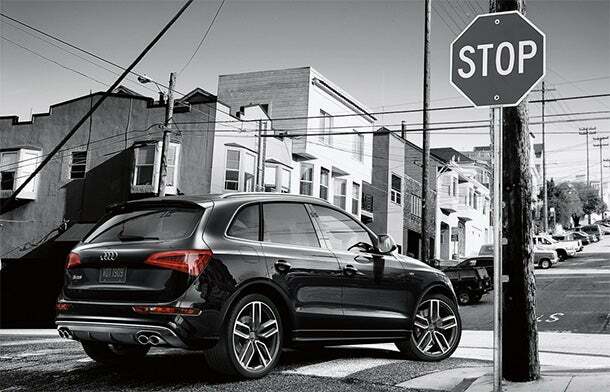 The company behind it might surprise you – but it shouldn’t.